You know, I'd heard for years that Winsor McCay had a comic strip before Little Nemo called Dream of a Rarebit Fiend. It was only today that I read more than a couple of strips. It turns out that, much like Little Nemo, McCay ended each installment of Rarebit in pretty much the same way -- the protagonist would wake up and claim that they had something to eat that disagreed with them and caused some strange dreams. Frequently, the culprit was rarebit. The "fiend" of strip's title refers to the ever-changing protagonists and their penchant for eating rarebit. Which is all well and good, but what the hell is rarebit? 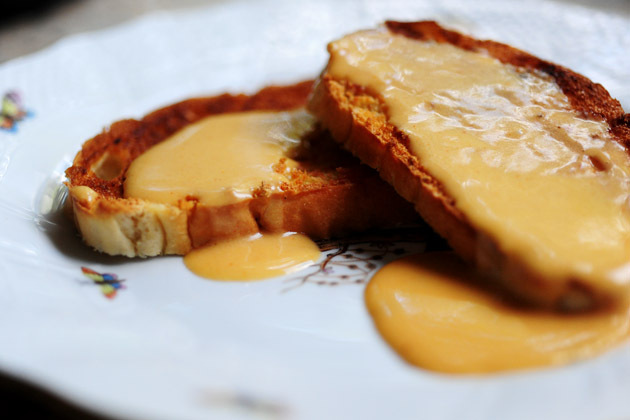 Rarebit, it seems, is a meal originally called Welsh rabbit. The "rabbit" part of the title got bastardized in the late 1700s to "rarebit." And since "rarebit" was never used in connection with anything but this Welsh rabbit meal, the "Welsh" portion was eventually dropped. Which is just as well, since it was originally meant in something of a derogatory manner anyway. But here's the thing: Welsh rabbit does not actually include any meat, much less rabbit. In the early 1700s -- when the meal first started appearing -- rabbit was considered a poor Englishman's meat. You would eat rabbit because you couldn't afford to go to the butcher. But the Welsh! They were considered even poorer! So poor, in fact, that they couldn't get meat at all and could only get cheese. So this cheese dish that was created was named Welsh rabbit, as a slur against the Welsh. "Ha ha! The Welsh are so poor that even their meats don't have meat in them! Ha ha!" There are, of course, many recipes for rarebit. But, in general, it's melted cheddar cheese seasoned with some salt, pepper, mustard, Worcestershire sauce and beer. This is then poured over toast. That's pretty much it. Frankly, it doesn't sound terribly appetizing to me but I can see the appeal if you're on a tight budget. Still, I might have to try it sometime just so I have an idea of where McCay was coming from with his strip. Anyway, that's your culinary-enlightenment-via-comic-strips for the day! Y'know, that's actually really interesting. I've never had any idea what "rarebit" was. It certainly sounds a bit "fiend-ish" to me, I will say.